While the rest of us were stuck in a seemingly never-ending winter season, our Senior Designer Peter Reynolds was enjoying Milan in springtime for Milano Design Week 2018, the Salone di Mobile. Peter consults with Eileen Fisher DesignWork and collaborated on the design of the space for the brand's Waste No More exhibit at Ventura Centrale with Li Edelkoort Inc, who curated the show. The exhibit generated a flood of great press for Eileen Fisher’s mission as a socially responsible brand — in Metropolis, the New York Times FashionUnited and W Magazine, to name a few. The provocative DesignWork initiative challenges the fashion industry’s massive contribution to pollution through a zero waste creative exchange that upcycles their customers' used clothing into artwork, upholstery, clothing, pillows and home products, and commercial interior surfaces. 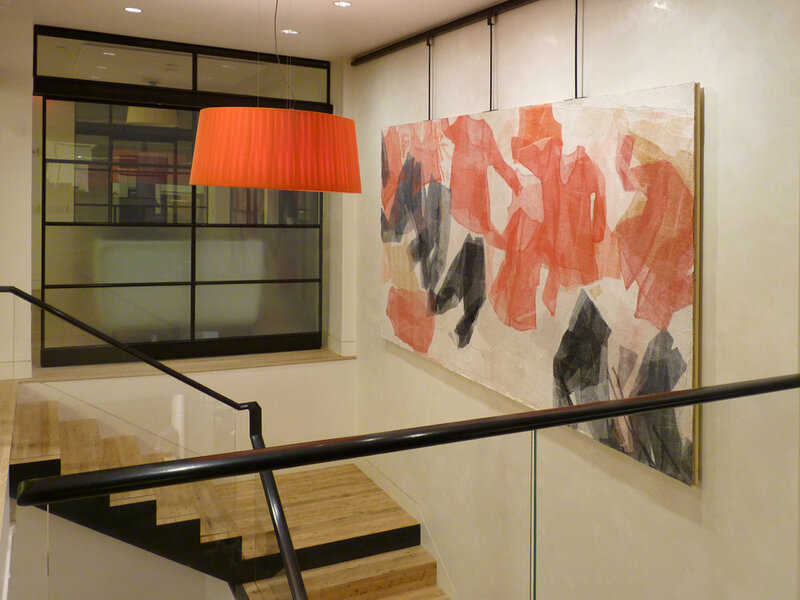 North River had already incorporated several of these emerging felted artworks into our architectural design of the new Eileen Fisher Creative Center in Union Square.